As a suggestion, the easiest and most pleasant escape from the daily hectic methods, is the massage. It can solve a series of health problems and will help you recharge your batteries in the fastest way! If you accumulated fatigue, tension, sore muscles and stress seems to have embraced you, we recommend relaxing massage or hot stone massage. If you want to model certain parts of your body through the simplest treatment possible, the best solution is massage with bamboo sticks or anti-cellulite massage. Any decision you take, we’re looking forward to see you visit and know us. 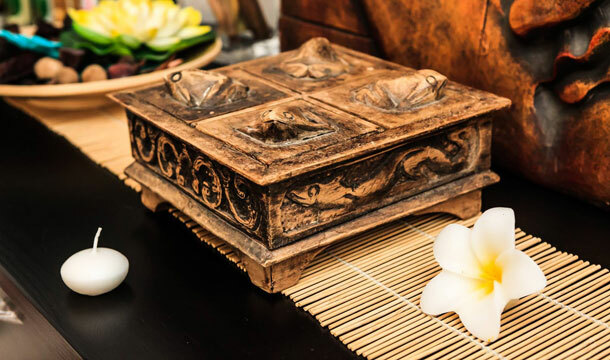 We’ll wait with genuine staff from Bali for you to fully pamper yourself, enjoying the finest of both body treatments and massage to discover the well being state of Asian culture and a new dimension of relaxation! Staff which we are very proud of, with whom you can enjoy 100% authentic treatments carefully selected from Bali and Asia!